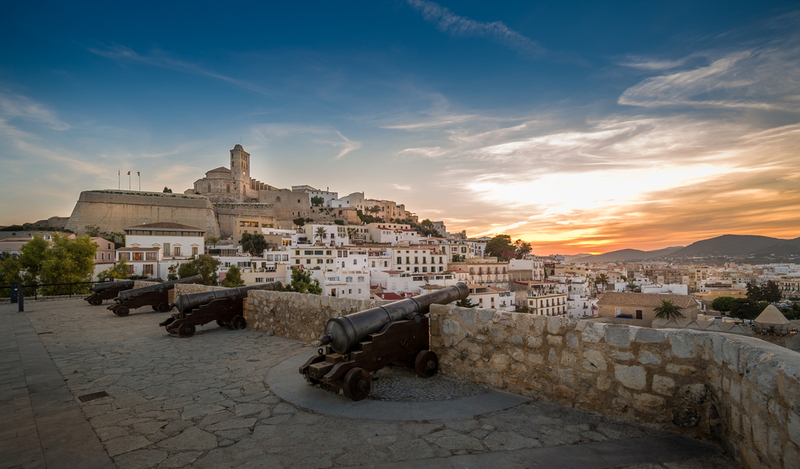 One of the first places to had in Ibiza is the magnificent Old Town, Dalt Vila where at the centre sits Ibiza’s castle. Amble amongst the medieval house of this part of town, which are all part of the outdoor museum that surrounds the castle. In the evenings the walls are lit and the ambiance is one to be experienced if you are in Ibiza! There are two fortresses left these days but both are worth a visit; the Baluarte de Sant Jaume often has exhibitions explaining the islands history while at the Baluarte de Sant Pere you can find more about the Island and how it defended itself. The Hippy Market in Es Cana. Head to the outskirts of the town and there you will find a wonderful Hippy market selling all sorts of traditional and handmade goods. Not too commercialised, the market offers anything from leather jackets to pipes and bongs and everything in between. Insence fills the air and with a wonderful mix of aromas, added to with the help of the food being freshly cooked in the market; it really is one of those things that will stick in your memory. If you like nice views this is one place you should head for as the cathedral is located at the very top of the hill and within the walls of Ibiza’s Old Town Started in the 14th century, the cathedral sits on a large plaza that has been the centre for worship for almost two thousand years. It’s a bit of a climb to the top but the Gothic style of the inside and those magnificent views really do make it worth the effort. 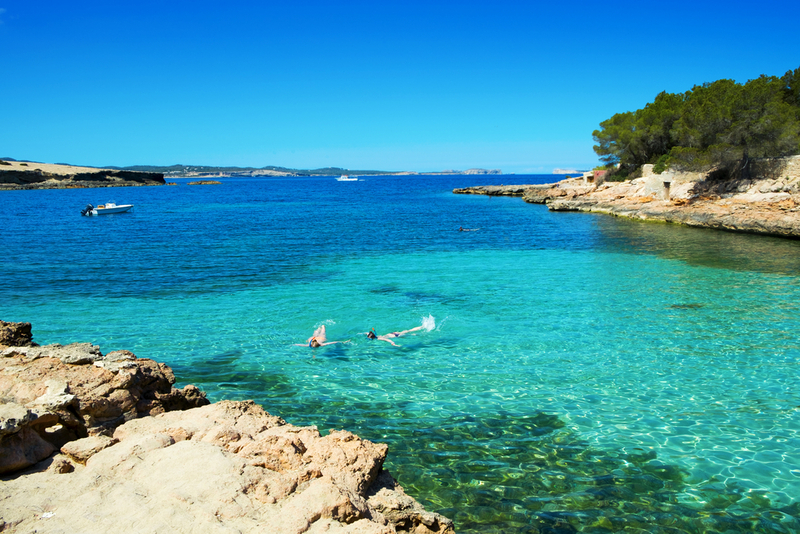 How about crystal clear waters to paddle or swim in while looking at wonderful views of little islands that are dotted along Ibiza’s coast? Clean and clear, the waters of the bay are famous for their turquoise colour and their cleanliness. A must when visiting Ibiza. 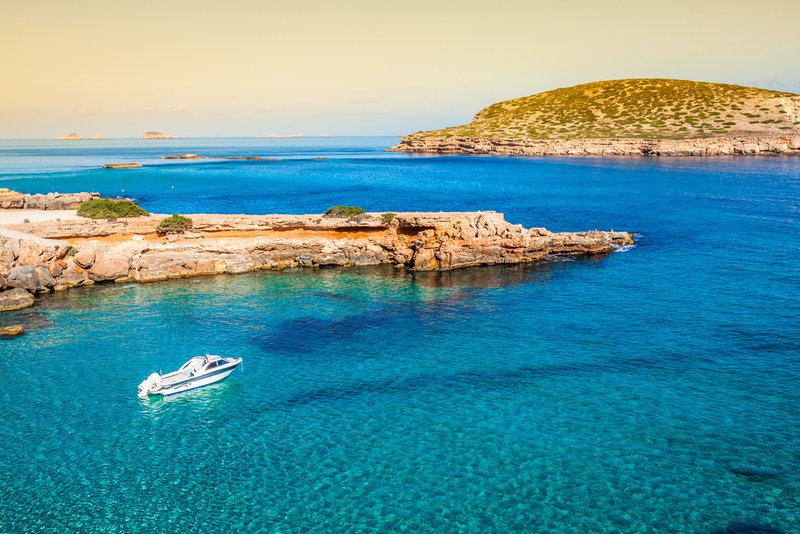 One thing that must be on your Ibiza Bucket List is to experience the sunset from San Antonio. San Antonio is a lively place to stay because of its famed nightlife and the largest choice I’ve ever seen of activities to do, whether that’s on the sea or on land. 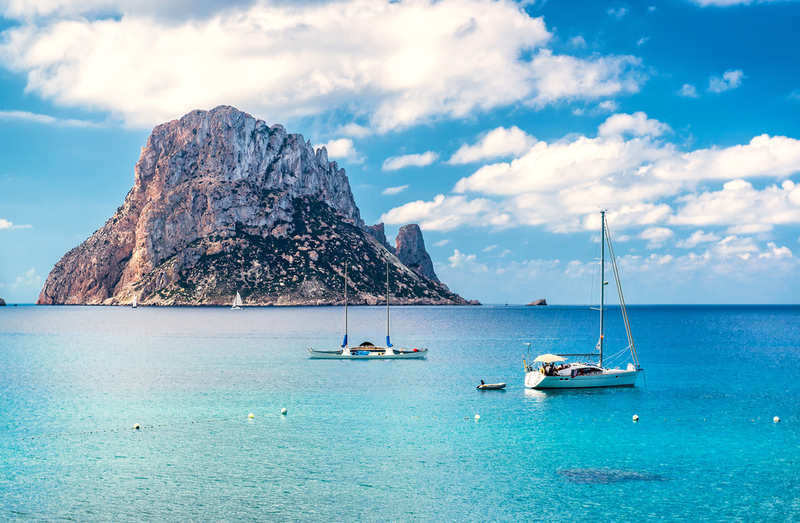 But to take in the sunset get down to The Sunset where you can listen to Ibizan summer sounds and then watch as the sun gracefully makes its way to, and below, the horizon offering a colourful show to make a perfect ending to the evening. Goldcar, a market leader in the holiday car hire sector, and a company focused on the tourist industry, offers car hire through over 80 offices in Europe and moasts one of the newest car fleets in the industry. With over 50,000 cars Goldcar can offer the very best deals and offers for your car rental and clients can make the most of the many benefits and advantages of hiring with a market leader.